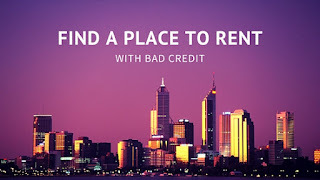 When you have bad credit, it affects many aspect of your life, including finding an apartment that will rent to you. But a bad credit score doesn’t mean you can’t find a place to call home. You might have to work a little harder at it, but it is possible to find something that will work for you. Trying these points below will help with just that. Know your credit score - Knowing your exact credit score, and how you got there, puts you at an advantage when trying to rent an apartment. It allows you to be honest with the landlord or company you are trying to rent from and even helps you show the progress you have made from that point. Sometimes a financial setback in life is out of your control and knowing the “whys” and “hows” can help you on your quest of renting a place. Show a steady income - A bad credit score doesn’t have to affect your ability to work hard and bring in a steady income. Showing your paychecks, bank account statements, and even credit card statements, will help show that regardless of problems in the past, you are capable now of paying your bills. Get a cosigner – A cosigner is someone who does not live with you but is willing to vouch that you will pay your rent on time or they will be financially responsible for it. Typically the financial requirements for a cosigner are stricter than those for the renter themselves. It’s important to discuss the exact requirements in detail with anyone you ask to be your cosigner. Be willing to compromise - Sometimes you can encourage a decision by offering to pay a larger deposit, speed up your move in time, suggest a shorter lease or even by paying your first month of rent with cash right there on the spot. There is no harm in putting all your cards on the table to see if one of them might work for you. No credit check - In some cases it is possible to find apartment complexes that won’t do a credit score check. A great way to have an easier time figuring out which places do this in your city is by working with an apartment locator. Their data base is capable of pinpointing the exact apartments that will do this, and you just might be pleasantly surprised. If you are ready to find an apartment that is just right for you, regardless of a low credit score, contact us today at 512 912 8000 and see how we can help you! It’s free of charge and will make your hunt for the right apartment that much easier! 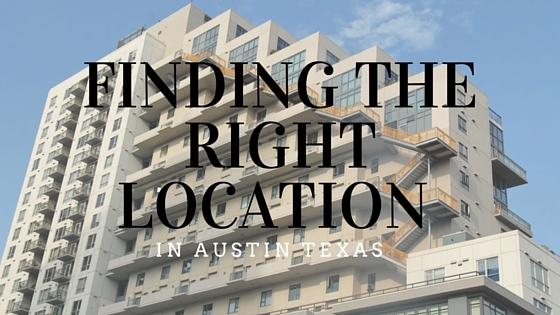 When it comes to renting, location is a pretty big deal. It is common for renters to sacrifice the quality of their apartment, or pay more for a smaller place if it means the location is just right. In the list below we put together the main points to consider when looking to rent in your desired location. Set a budget - Knowing the minimum and maximum point you are willing to spend is very important, whether you’re working with an realtor, an apartment locator, or finding something yourself, this is the first number you need to know. Decide what you want around you - Do you prefer the fast paced city life or more quiet rural one? Would you rather have the grocery store in walking distance, or don’t mind a longer drive? Are you okay with a longer commute to work, the gym, or other points that are a part of your life style? Figuring out what you would rather have when it comes to your weekly routines is important, as these will be things you repeat often. School district - If you have children, this is a major point to consider. School districts can make the difference in your child’s experience in school and the quality of their education. Austin has some great school districts with affordable homes and rentals. If you aren’t sure on the exact ones, this is definitely a question you want to bring to the table. Commute to work - How long it takes to get to your job in the morning can make or break your day. There are several tools at your disposal that can give you a good idea of how long it would take from your new location. Google Maps and Waze determine how long your commute would be, based on the route, the times of day you travel, as well as taking traffic, tolls, and stops into consideration. 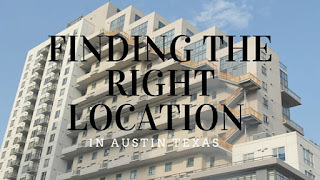 If you feel like you are ready to take the step and look for an apartment in a great location, call us today at 512 241 1111 and get set up on us. It’s fast, free and easy!